How to add a Bitcoin Donate Button to your WordPress site? Bitcoin is a digital currency that has become very popular recently. There are numbers of online merchants who have started accepting payments in Bitcoins. Many people would still consider bitcoin to be somewhat of an alien territory wherein they actually don’t want to step on however once you learn how to utilise the said digital currency you might not have any problem about it. Therefore, you would also want to add bitcoin donate button to your wordpress site. But how are you going to do it so? Read on this article to know how. In order to get started with the said bitcoin donate button, there is a need for you to set up wallet address. BlockChain is considered as a secure service which you might use however they might charge you fee in every transaction. If you create an account, you could either choose main address or a new address for accepting the donations. The said Bitcoin wallet address would be a series of digits as well and of it just the same with Paypal email address wherein you could give others in order for them to send the donation to you. And after that, there are solutions that you might consider as you add the bitcoin donate button on your site. The use of plugins might be considered in order to complete the task of adding bitcoin donate button into the WordPress site. The first option you might consider would be through the use of “BitPay for WooCommerce“. It is an electronic payment processing system intended for bitcoin currency. It would allow merchants to accept and process payments easily in bitcoins. It will also allow you to get bitcoin payments within local currency but receiving payments in Bitcoins might require you the said wallet address. There would be numbers of available options for mobile, desktop and web services as well. Signup for free account on BitPay. After that, the application will be reviewed and be approved within few hours. You are to get approval notification through email. And if approved, you are t visit the BitPay site again and then set up password along with some other account details. On the dashboard, click the Accept Bitcoins line from the top menu. It might open page that shows different solution however there is a need for you to choose eCommerce. On the screen of eCommerce payments, you will have numbers of options. Click the Accept Donations button. Configure the donate button settings. The first choice is to decide whether you want the donors to enter the amount or you might want to use the fixed donation amount. Once you choose Donor Chosen Amount then the donate button would appear with a form that donors would have to fill in order to donate. And once you choose the fixed donation amount, the donate button settings page would display additional fields. You will enter fixed amount donations, choose the currency and then add the description. For the payment notification settings, you could enter the URL of the page in your wordpress site wherein users you are to be redirected after they have made the said payment. This might be the thank you page wherein you could create in your WordPress. You might as well add email address wherein you would like to be notified once user makes donation. And after setting up the donate button, there is a need for you to click the Generate button as this would generate the bitcoin donate button along with three button size options. You might choose from large, medium or small button through clicking it. Finally, copy the displayed code and then paste it into the next editor such as Notepad as you would need the said code also. Another plugin that you might use as you are to add Bitcoin donate button in your wordpress site would be “Bitcoin Payments for WooCommerce“. 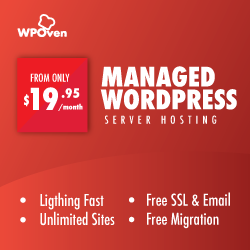 This is as a free wordpress plugin and a is a great addition to your online store. If you installed and also activated WooCommerce, you should also install and activate Bitcoin payments for the said plugin. This plugin could be used in order to accept Bitcoin for physical as well as digital products. And it might also handle donations as well as payments for premium content. Install the said plugin and configure the store. Install the Bitcoin Payments for WooCommerce the same with other wordpress plugin and activate. Download and install into the computer Electrum wallet program. Set up and run the said wallet. Click into the console tab and run the command in order to extend the gap limit of the wallet’s size. Grab the Master Public Key of the wallet. Within the wordpress admin of the site navigate to WooCommerce to Settings to Checkout to Bitcoin and then paste the value of the Master Public Key to the Electrum Wallet’s Master Public Key. Choose the Bitcoin Service Provider to Your Own Electrum Wallet and then fill-in some other settings within the bitcoin management panel then press Save Changes. Once you do not see any errors then the store is indeed ready for operation or to access payments or donations in bitcoins. All the supporter would be listed and acknowledge in the plugin repository. The same with how the name suggests, the aid plugin would make it possible for you to accept bitcoin payments as well as donations into the digital wallet once your wordpress site utilises WooCommerce platform. It is a free and full-featured WordPress plugin for e-commerce. Direct transfer of bitcoins into the Electrum wallet might eliminate the need of dealing with third parties where users of many other payment gateways of Bitcoin should have to deal with. Adding Bitcoin Donate Button in your wordpress site could be a lot easier through the use of wordpress plugins like the BitPay and the WooCommerce.